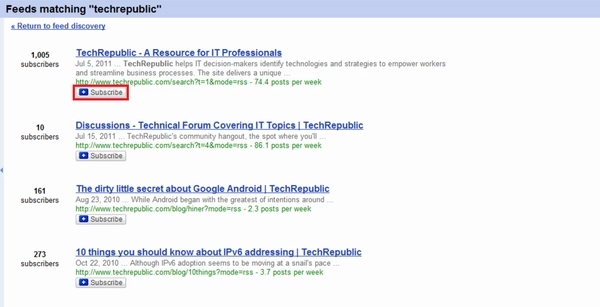 « How to Use Google Multiple Sign In? Get an RSS Reader – The first thing you’ll want to do if you’re getting into reading sites via RSS is to get yourself acquainted with an RSS Feed Reader. 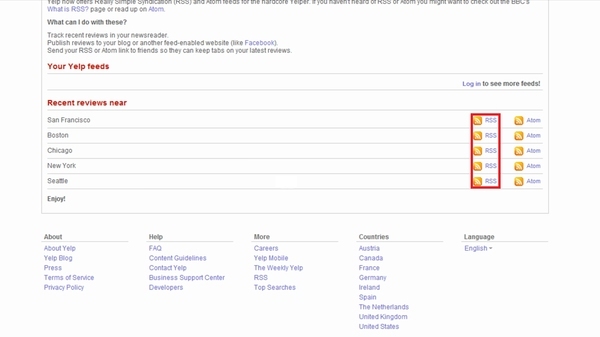 Go to the ‘Add a Subscription’ field in the top and search for the site you want to subscribe. Another way of using RSS is to log on to the website you want to subscribe. Look for the small orange RSS icon. Once located click on it and copy the link of the location you would be redirected to. 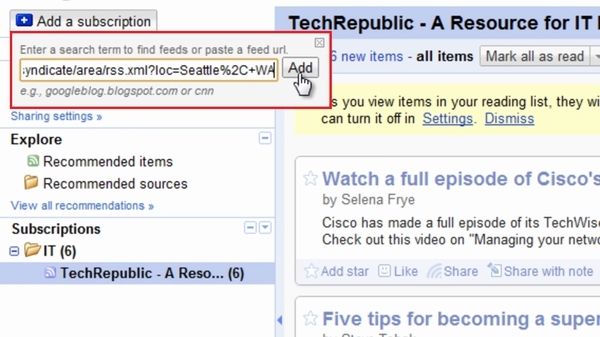 Now copy the URL and paste it in your ‘Add subscription’ tab of Google Reader and start receiving feeds from your favorite website.